You can’t help but feel transported to some romantic, undiscovered corner of Italy. There’s just one caveat here. 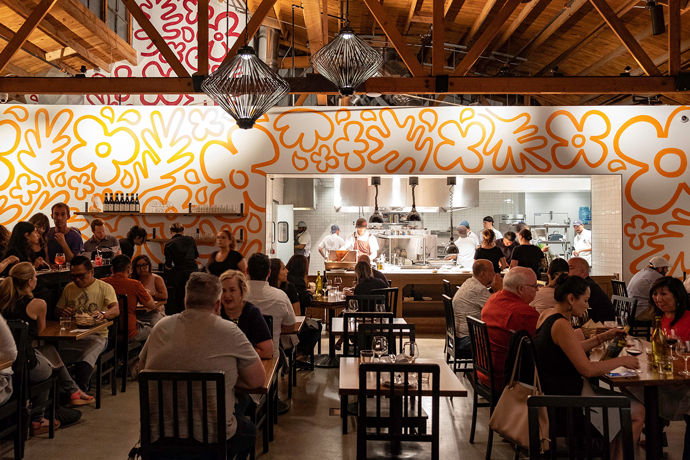 We’re assuming you’ve pulled over and tucked into Ombra Ristorante, an intimate new Italian bistro for pasta, prosciutto and wine, now open on Cahuenga. And after sundown, this will be “just a little place you know” to take an unassuming date—lead her to a corner table and take your time with some Wild Boar Chops, Gorgonzola with Marinated Figs and a nice barolo. And maybe a sequel involving chianti.